I used all 3 feet of ball chain so I could wrap it around my neck or wear it long. 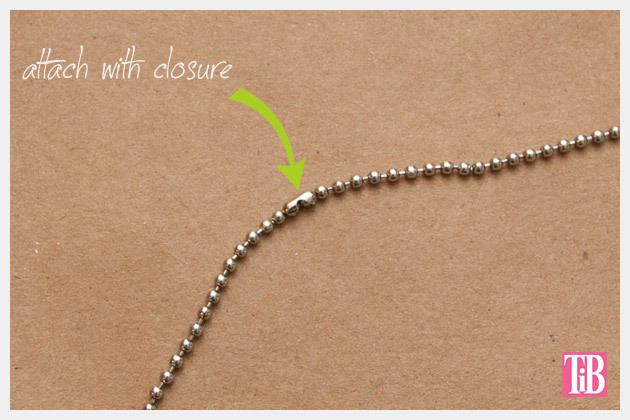 Put your closure on your ball chain. 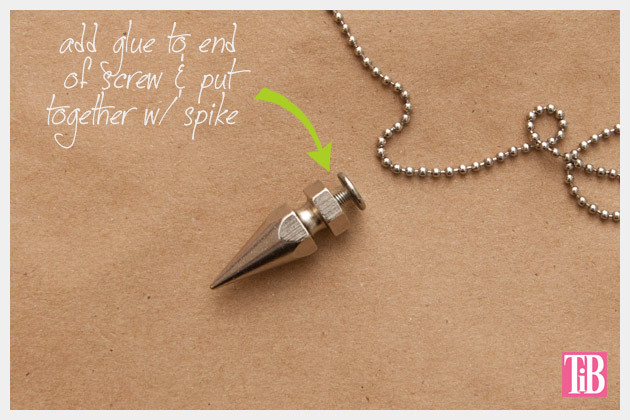 Put a small amount of glue on the end of your screw and screw it into your spike. Before you tighten you screw in all the way wrap your ball chain around the screw just under the head of the screw, then tighten the screw in as tight as you can. 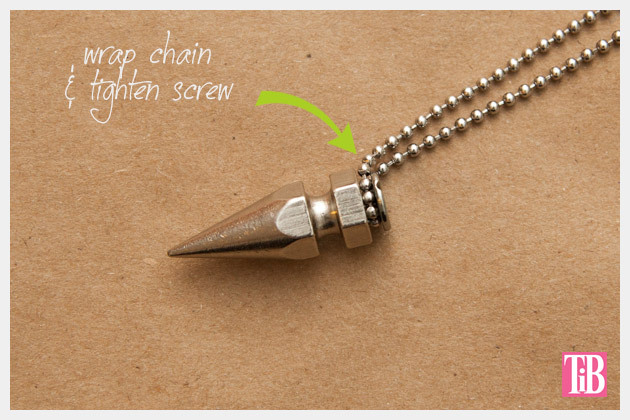 You can also add a little bit of glue to hold the chain to the spike. A few weeks ago we went to the Metropolitan Museum to see the exhibit Punk: Chaos to Couture, and I have to say I loved it! 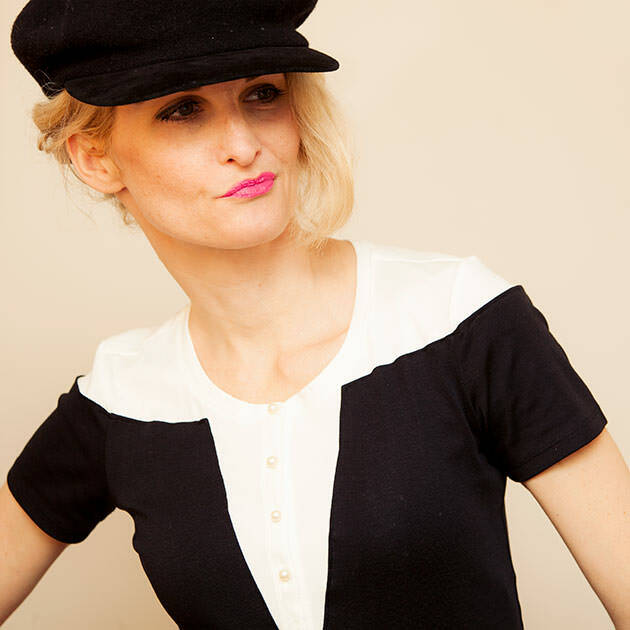 The best part about punk fashion is the ‘DIYness’ (I know, I know its not a word) to everything! 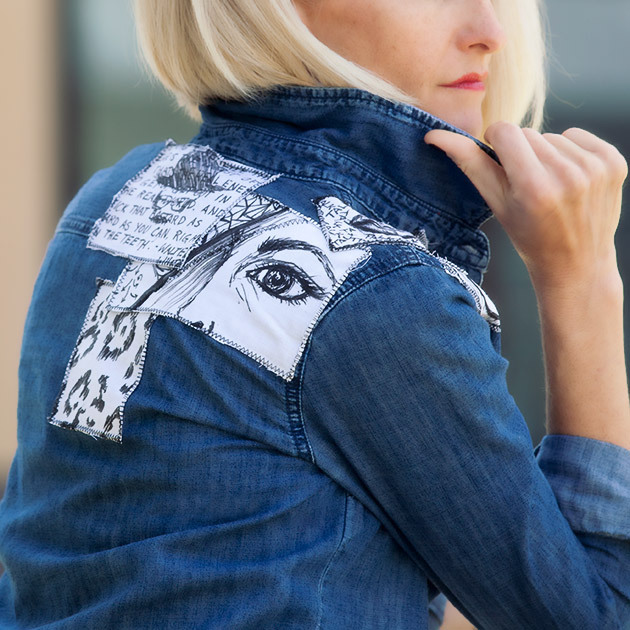 There were so many inspiring elements and unique materials being used, it gave me a lot of ideas for future DIYs! 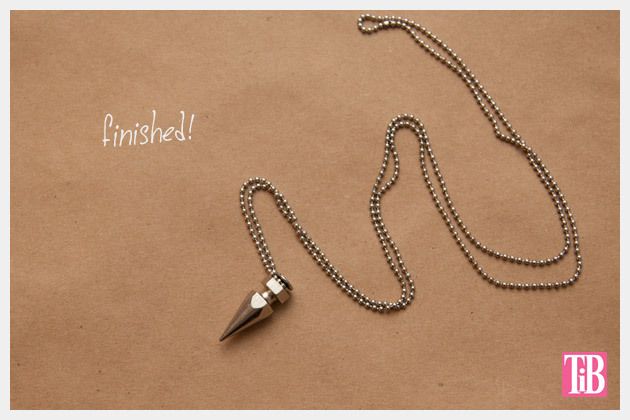 And so my love of spikes and adding them to everything continues! 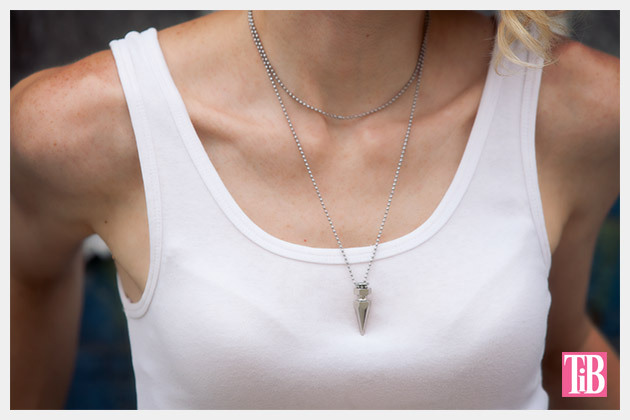 If you’re looking for another spiked chain necklace, maybe one with more (and smaller) spikes check out this one. 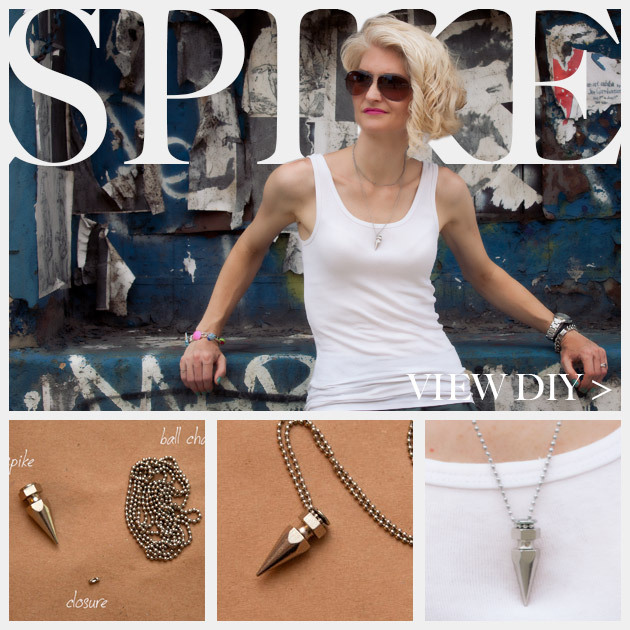 Leave me a comment and let me know how your spike necklace turns out! Cute! 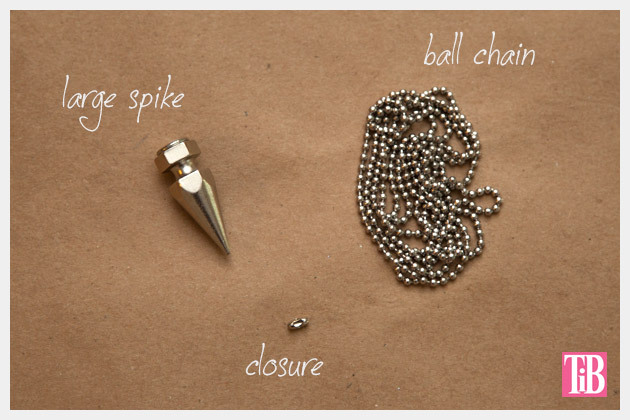 I posted a roundup of tiny spike pendant necklaces yesterday, I like how you solved the problem of how to attach a spike to a chain! Spikes are everywhere now and coming up for fall. 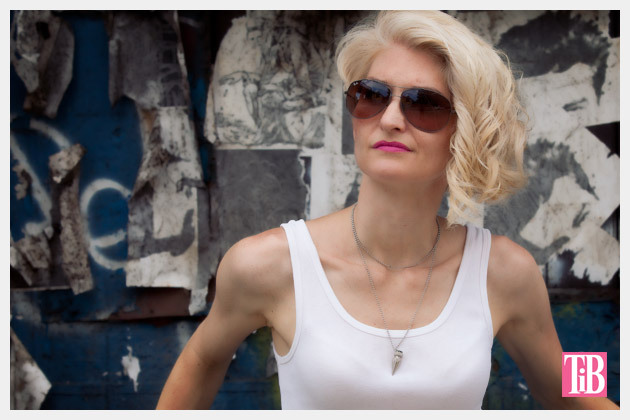 I love how they can be big and heavy or simple and light, like this necklace. 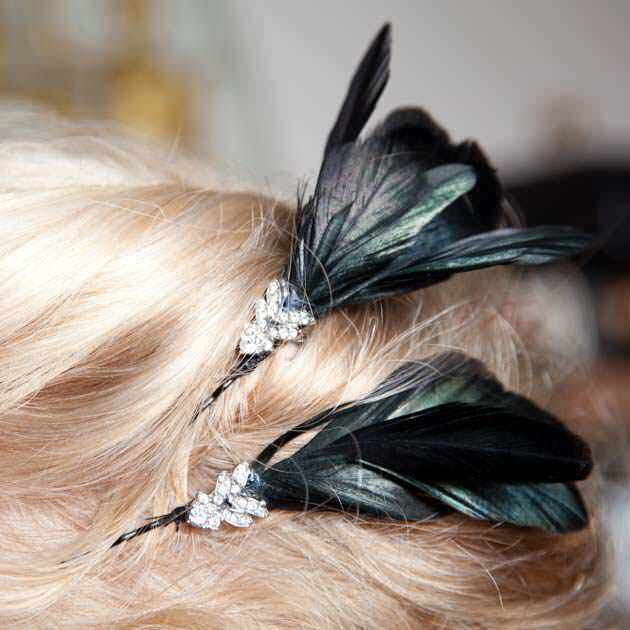 They’re so much fun to wear!